If you book a cab from Ahmedabad To Bhuj, the journey of Bhuj from Ahmedabad via Malia is 331 km. There are many modes of transportation options available to travels from Ahmedabad To Bhuj. Government Buses,Private Buses, and Trains. But the fun of going by car cannot be found in the train, government bus, and the private bus. Somnath Travels Provides you, your friends or your family a Comfortable experience of Journey from Ahmedabad To Bhuj. So If you plan to for Ahmedabad To Bhuj Cab Booking or Bhuj to Ahmedabad Taxi Hire Somnath Travels is always there to serve you in a better way in all manner. Why Ahmedabad To Bhuj Cab only with Bhuj Travels? Bhuj Travels has experience of more than 12 years in Car Rental Business and Service. We have our own cars and offices in Somnath, Dwarka, Bhuj, Porbandar, Jamnagar, Junagadh, Diu, Sasan Gir, Ahmedabad, Bhuj, and Bhavnagar. We do rental business. Like another operator, we don't do commission business. So rates will always be lower and in the budget with Somnath Travels. Somnath Travels provides services like Ahmedabad To Bhuj Taxi Rental, Ahmedabad To Bhuj Taxi Hire, Ahmedabad To Bhuj Taxi Booking, Ahmedabad To Bhuj Car Rental, Ahmedabad To Bhuj Car Hire, Ahmedabad To Bhuj Car Booking, Ahmedabad To Bhuj Cab Rental, Ahmedabad To Bhuj Cab Hire, Ahmedabad To Bhuj Cab Booking. Gujarat is a very famous state in India. 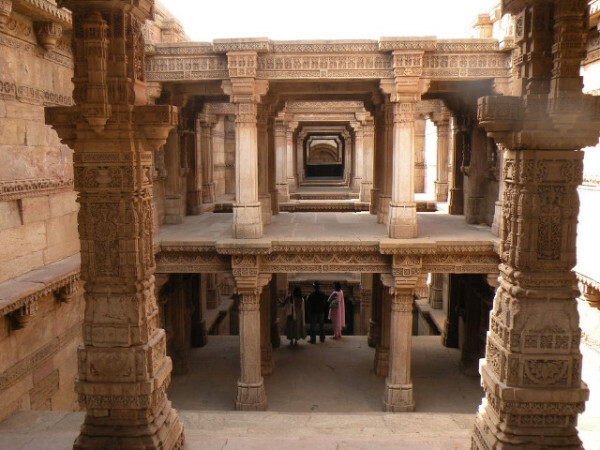 Gujarat has many famous, archeological, anthropological, architectural, historical, sociological cities. Ahmedabad is one of them. Ahmedabad is also the 6th biggest city of India after Kolkatta, Mumbai, Delhi Chennai and some other. As per its name, Ahmedabad was founded in 1411 AD by Sultan Ahmad Shah. An exciting combination of traditions and modernism The city is located on the bank of Sabarmati river with a population of six million. The city was also known as Manchester of India for its textile industries but in the last fifteen years, Government policies have ruined all. The typical Gujarati name of this city is Aamdavad. Government tries to change the name to Karnavati but the people of the world get more taste while speaking Ahmedabad instead of Karnavati. Gujarati is literally mad about celebrating each and every festival with Excitement and enthusiasm. Uttarayan, Navratri, Diwali, Holi, and Jagannath Yatra are celebrated with great Excitement and enthusiasm in entire Ahmedabad by all communities. Ahmedabad is one of the hubs for business in Gujarat state. Thousands of people from all over the world visit this place every day for business purposes in compare to than for tourist activities. But there are many historical places worth visiting in Ahmedabad. 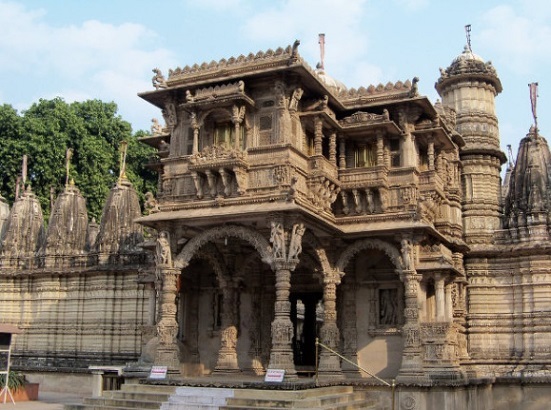 Ahmedabad has many historical places checkout some most important places you can visit while you visit Ahmedabad. 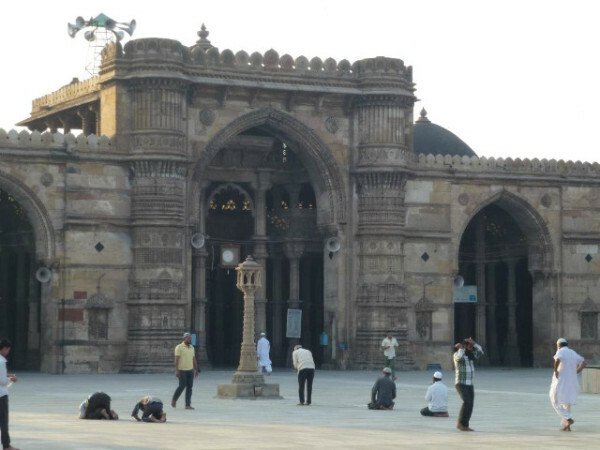 Jumma Masjid is located on one of the most crowded streets known as Mahatma Gandhi Road in Ahmedabad. The monumnetisone of the best architectural building found in the city was built around 650 years before. Founder of City Ahmed Shah has built this mosque especially for Friday prayers and it has about 260 pillars. This mosque was built in 1573 and it is the last mosque built during the Mughal period in Ahmedabad. On the western side of the mosque, there is found work of stone meshwork which is famous all over the world. 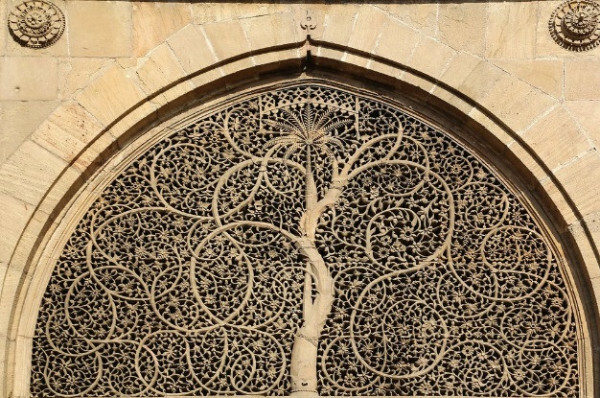 A tree has been pictured by carving and digging out of the premises outside the premises which reflects the specificity of the craftsmanship of that period. It is situated in the busiest area of the city, and certainly, the tourist will experience peace and its mind will be satisfied. Sabarmati Ashram is the place of India where the Father of the Nation used to be Bapu. Staying here, Mahatma Gandhi fights to give a new era to the country. 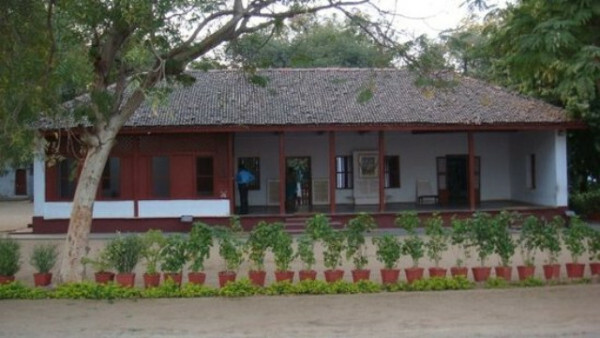 Sabarmati Ashram is also known as Gandhi Ashram or Satyagraha Ashram. 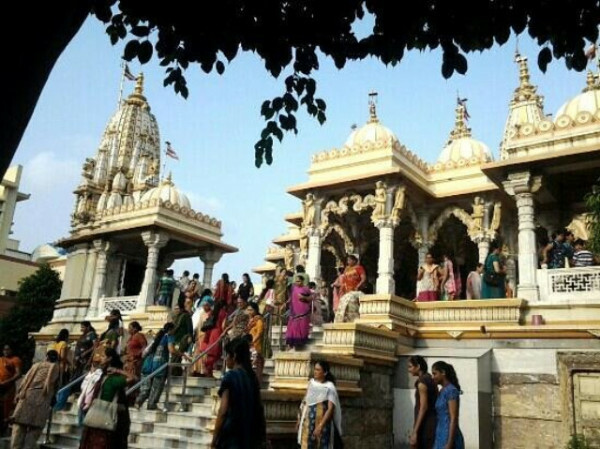 This Ashram is main attraction Ahmedabad for Gandhi lovers which are about 4 miles away from the Sabarmati river. Gandhi stayed here 12 years with his Kasturba. Sarkhej Roja is one of the most important Monument in Ahmedabad Gujarat, in which many mosques, tombs, and palaces are located. Sarkhej Roja is located at a distance of 7 km from the main city Ahmedabad in Sarkhej. Construction of this monument was started by Sultan Mohammed Shah, later it was completed by Qutubuddin Ahmed Shah. It is established by Mahmud Begada. On the death of Sheikh Ahmed Khattu Ganj Baksh, a Sufi saint, Sultan Muhammad Shah built a mosque and also constructed a tomb in his memory. Later, Mehmood Begada expanded this campus and included a summer palace. Apart from this, there is also a center tank, a building pavilion, a small private mosque, in this complex, later the ruler had built his son and his queen's tomb. 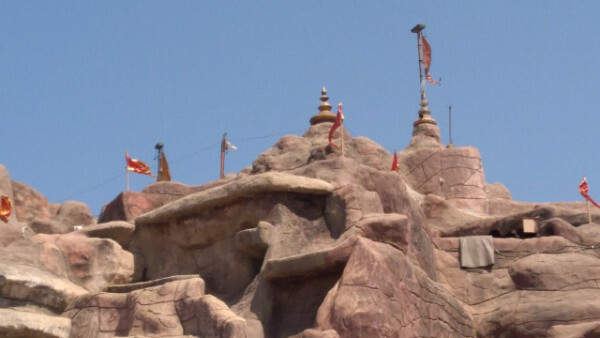 The specialty of this building is that it is made in an Islamic way and it also finds a mix of Hindu and Jain style, as is seen in other monuments less. The dome, pillars, and brackets here are made in Islamic style whereas the ornamentation is made in the Hindu style. In most of the structures, there is no arch in the structures, but many designs of stones can be seen. 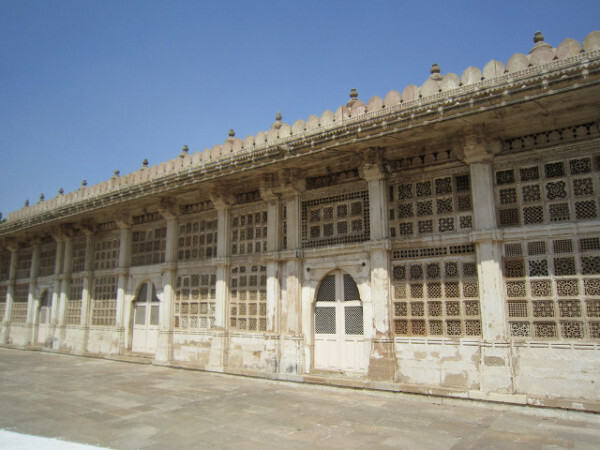 The three-door is located in Ahmedabad on the east side of the fort of Bhadra. This gateway leads to Ahmad Shah's palace's vast field. This path was magnificent in the past and the king's ride was excavated from here. The route connected by this gateway is 17 feet long and 13 feet wide. This place is equipped with artistic crafts architecture. The highway may have been in the east but this place appears to be very small in view of the magnificence of Ahmedabad at the moment. Immediately after the establishment of the city of Ahmedabad, Ahmed Shah built this three-door entrance. It was constructed from 1414 to 1415th century of Evison's, in 1459 Muhammad was exposed to war with 300 uncles of 300 horses and 30 thousand soldiers and this army was pulled out of this gateway. He was welcomed along with both the elephants and the royal music of the time. This war happened with the Maratha warlords. Burhanuddin Qutb al-Alam is also known as Hazrat's son and successor Syed Sirajuddin Muhammad, also known as King Shah E. Alam of the world. His father, Sheikh Burhanuddin, also known as Qutub-e-Alam, is forbidden Saeed Jalal was the grandson of Uddin Hussaini Bukhari, also known as Makhdum Jahaniya Jahan Gasht. Located on the outskirts of Ahmedabad, during the reign of Ahmad Shah I, in the fifteenth century During the beginning they reached Gujarat. 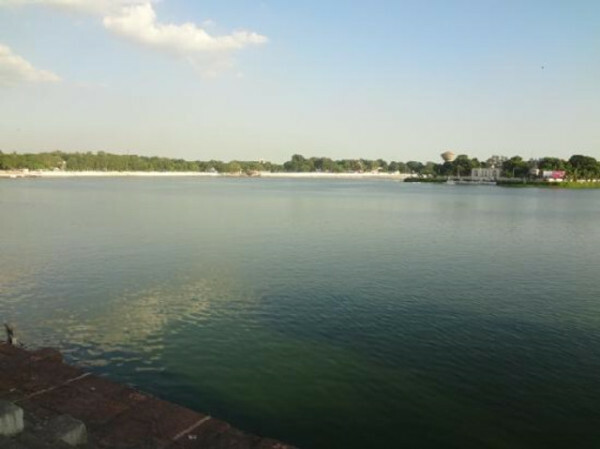 There are also some more important places in Ahmedabad to visit like Kankaria Lake, Jain-Temple, Nalsarovar-Bird-Sanctuary, Akshardham Temple, Adlaj-Stepwell, Lothal, Manek-Chowk, and The-Calico-Museum. Ahmedabad is nice during the winter season. The min temperature is 5-degree max temperature is near about 20 degrees. So, if you are planning a trip to Ahmedabad with family, friends or alone, prefer the period between October and March.